What does “globalization of tea cultivars” mean? The most pure teas are bound to a specific tea cultivar, i.e. 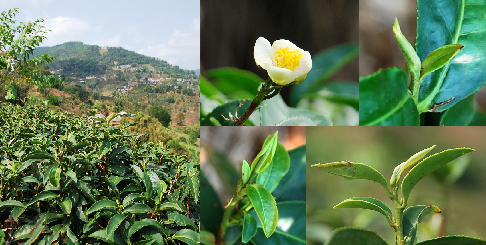 a specific subspecies of the tea plant species Camellia Sinensis, from which they are yielded and which, besides other factors such as the geological and climate conditions and the processing method, is responsible for the specific taste and other characteristic features of each tea. So, for example, there is a cultivar that produces Tie Guan Yin Tea, while another one yields Oriental Beauty (Dong Fang Mei Ren), another one Long Jing Tea, another one Bi Luo Chun Tea, etc. At this, there is not necessarily a 100% correspondence, i.e. there is not always exactly one tea cultivar that exactly one tea is produced from, but there are cases, where through different processing features – e.g. varying degree of fermentation, i.e. processing to green, Oolong or black tea) – several teas are yielded from the same tea cultivar, while there are teas that can be obtained from more than just one tea cultivar. The Jin Xuan cultivar, from which, besides an Oolong tea of medium degree of fermentation, also a black tea and a winter harvest variation are produced, is a great example for the first, while Oriental Beauty Oolong tea, which in Taiwan is yielded from at least 2 different tea cultivars, may serve as an example for the latter. 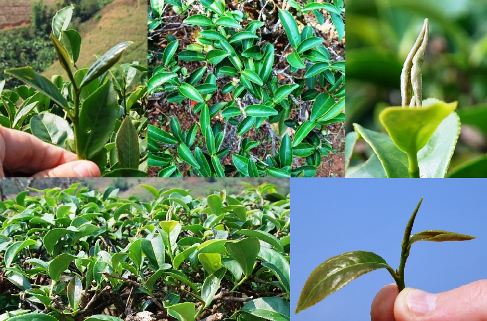 As historically every tea cultivar can be assigned to a specific place of origin, e.g. 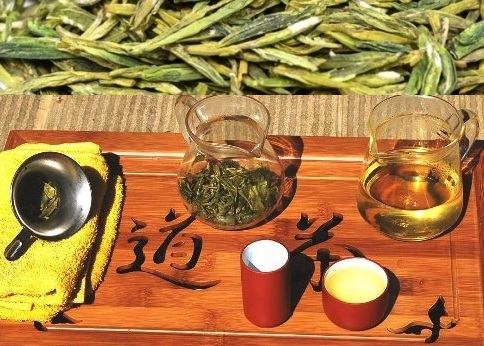 Anxi County for Ti Kuan Yin Tea, the village Long Jing in Hangzhou for Long Jing tea, Lake Tai in Jiangsu province for Bi Luo Chun, etc., tea lovers will also automatically relate each tea to a specific original location, namely that of the corresponding specific tea cultivar. This way, place and tea are often directly and inseparably interconnected in centuries- oder even millennium-old traditions. Locations such as the dragon well in the village Long Jing, with the 8 original Long Jing tea plants, or the place in the Wuyi mountains of China’s Fujian province, where 4 of those original Da Hong Pao tea bushes once adorned with “big red robes” by the then ruling Chinese emperor, are still standing and producing tea leaves today, have even established as popular tourist destinations due to their history as a place of origin for a worldwide famous tea cultivar. 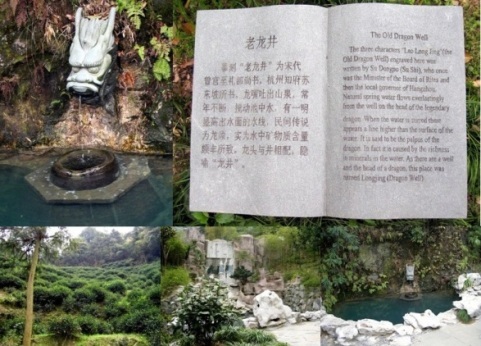 That one place can also be home to more than just one tea cultivar is perfectly exemplified by the Chinese Wuyi mountains, known for its great variety of different, partially worldwide famous Oolong teas, where numerous tea cultivars have always been thriving on a comparably small area. Those who appreciate if a tea comes from its original place of origin, will often have to pay exorbitant prices for this today. Apart from the fact that the tea leaves harvested from the “original bushes” of such examples are virtually worth their weight in gold and aren’t even affordable for ordinary mortals, there is also a strong tendency that the closer to the original 8 bushes of Hangzhou’s dragonwell or to the 4 tea Da Hong Pao tea bushes once adorned with red robes a tea is grown and harvested, the more expensive the same will be, while this “authenticity price” does not necessarily correspond with superior quality. Why should a Long Jing tea from a location more than 100km away from Hangzhou be less good than a Long Jing tea from a place in close proximity to the dragonwell in Hangzhou? 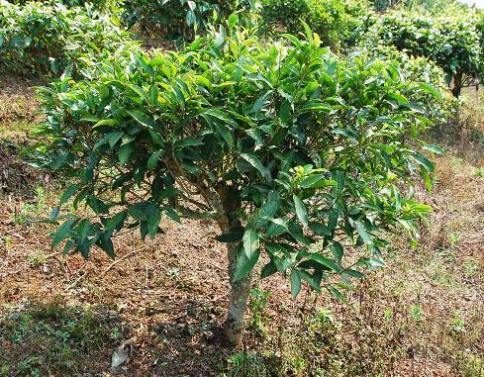 The same applies to the above-mentioned Da Hong Pao, which today is also cultivated in a wider radius around its place of origin in the Wuyi mountains. Decisive factors for the quality of the tea are the soil, the climate, the processing method and skill, and… the cultivar. However, at least in theory, and to a certain extent definitely in practice, too, this also means that the same cultivar will still produce the same tea at a different location under comparable geological and climate conditions and processing standards. Especially good qualities of a Long Jing, Bi Luo Chun or Da Hong Pao can consequently be purchased much cheaper, if we lower our sights at bit, quantifiable in miles, regarding that authenticity requirement to such tea’s location. The question where to draw the line automatically arises. 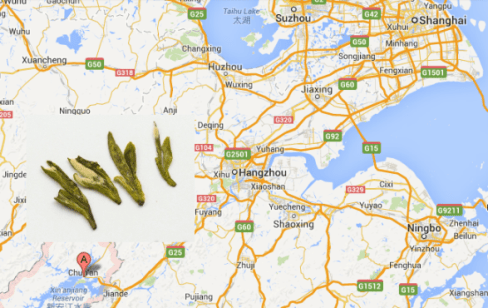 In other words, how far away from Hangzhou will a Long Jing tea be allowed to be called a Long Jing tea? In a radius of 1 km around the original venue? Or 100 kilometers? Within provincial or regional boundaries? Within China? Or no matter how far away? If we assume that the taste and other quality features of a tea are predominantly or exclusively determined by geological and climate factors, by the processing skill and method and by the cultivar used, we won’t be able to draw a geographic border line at all. 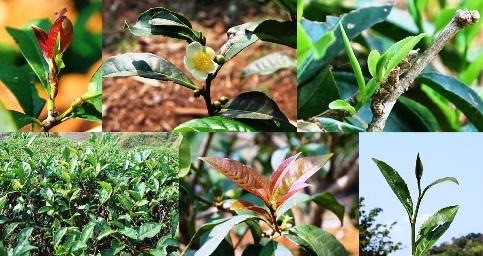 Rather these determination factors – regardless of how far away from its place of origin a cultivar is cultivated – will have to match those at the original location to a certain degree to produce the same or a very similar tea, whereas there is no reason, why this tea then should not be allowed to go by the same name. The author of this article believes that the “problem” would best be addressed by always clearly indicating the origin of a tea on the market, e.g. by adding an appropriate prefix or suffix to the tea’s name. At SiamTeas, for example, the teas yielded from cultivars imported to Thailand from Taiwan, will still carry their original names, while their cultivation and processing in Doi Mae Salong, north Thailand, is indicated by additions such as locally common denominations and/or the prefix “DMS” : for example DMS Four Seasons Oolong, DMS “Cha Nang Ngam” Oriental Beauty Oolong, etc. This way, the end user, consumer and tea lover is comprehensively informed and, based on this information, can develop and maintain their own preferences and make informed current and future purchasing decisions accordingly. The “globalization” of tea cultivars is by no means a modern phenomenon! Historically, tea cultivars have been spreading from a range of centers of origin in China to other regions in China as well as to other Asian countries already since centuries. In a historical perspective, notable Taiwanese Oolong teas such as Oriental Beauty or Four Seasons Oolong, Japanese teas such as Sencha and Gyokuro, and Indian teas such as Darjeeling or Assam are by no means as genuine as we might perceive them to today. Rather, the tea cultivars carried from China to Taiwan, Japan, India or Sri Lanka centuries ago in the course of time have developed their own characteristics under the specific conditions of their new host countries and thereby also “earned” their own names and identities. However, in other examples (see again: Oriental Beauty from China respectively Taiwan respectively Thailand) defining characteristics have remained largely unchanged, so that we still know and call these teas by the original names today, even if far from their original locations. I encountered two good examples for the historical spread of traditional tea cultivars within the Chinese sphere just recently. In the context of my sourcing research for the Chinese green teas “Long Jing” and “Bi Luo Chun” I felt reasonably compelled not only to try different qualities/grades of these teas, but also to compare teas from the respective original locations with those from surrounding areas or even more distant cultivation regions. The result: Long Jing green tea comes in same quality clearly cheaper from places that are not in the immediate proximity of the original dragon well in Hangzhou, and with Bi Luo Chun we even found that the characteristic taste of this famous Chinese Green Tea gradually shifts from fruity towards deeper and nuttier taste notes the further we move from Jiangsu in western direction. In both cases, we decided on a variant that comes from a location comparatively distant from the cultivar’s original site, namely in the case of our Long Jing tea about 130 km west of Hangzhou, while our Bi Luo Chung even comes from Yunnan (a long way from Jiangsu), but in both cases this enabled us to offer our customers excellent qualities of wild and/or in biodiversity growing teas at a price that at which teas from the original sites are available only at “also ran” quality. As we have seen, a spread of tea cultivars is by no means something new. However, just like in so many other economic segments, the modern developments in the areas logistics and communication technology along with the increasing globalization of economic structures and the resulting higher grade of global cooperation have effected a drastic acceleration of the global spreading processes of tea cultivars as well. Especially developing countries, whose economies mainly rely on agricultural products, have started to import tea cultivars for cultivation in their own countries. 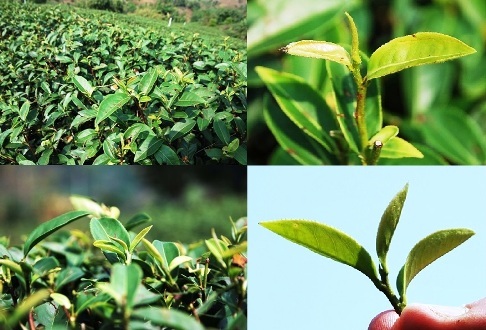 Taiwan has made the Development of Oolong Tea Cultivars with specific features for the cultivation under specific geological and climate conditions a national task and today successfully trades the resulting cultivars and gained know know on the global stage. Thailand is among the countries that have profited from this development. 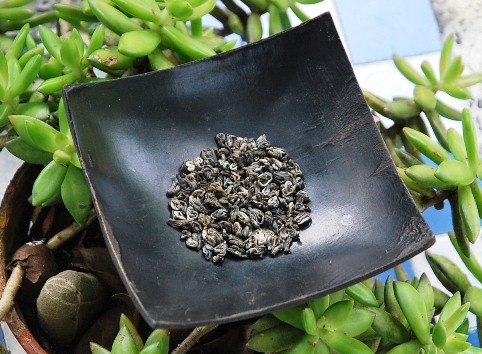 While the possibilities of commercial exploitation of the assamica cultivar native to north Thailand initially appeared to be rather limited, the import of the Jin Xuan, Ruan Zhi, Four Seasons and Cing Xin cultivar from Taiwan since the 1980’s opened the country new and great opportunities. 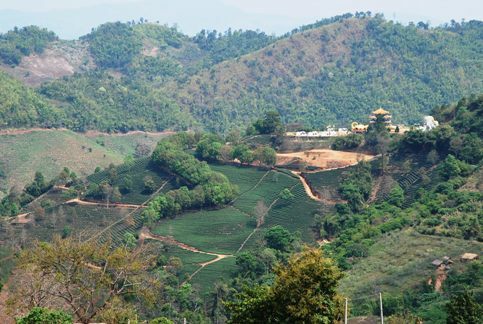 Initially mainly intended as a cash crop alternative for the substitution of the opium poppy in north Thailand, Thai green, Oolong and most recently also black teas have meanwhile conquered their entry on the world map of tea-producing countries, which Thailand – thanks to comparably moderate prices for high quality tea – is now striving to secure and develop. However, driven also by private economic interests, we see the spread of tea cultivars to other countries even on a much greater scale: we see Japanese teas being grown and produced in China, the spreading of Chinese and Taiwanese tea cultivars over pretty much all of south east Asia (besides Thailand also to countries such as Vietnam, Cambodia, Laos and Burma), we see the establishment of completely new tea cultivation regions based imported cultivars, such as in Kenya, and we currently see a new trend to experiment with the cultivation of tea cultivars from different origins even in western industrialized nations of the temperate, such as in the US or Europe, not only on a private level, but increasingly also on a commercial scale. “Berlin Lapsang Souchong” or “Arizona Phoenix Dan Cong” * – a world full of miracles? Most of us will know it, the idea that the taste and the information we have about a tea, backgrounds such its place of origin and the culture of the people who have worked on it, often invoked by vivid pictures rather than written information, both play a role in shaping our tea experience by forming a unit in our perception. Our tea experience is actually being enriched by our perception of these backgrounds, it becomes more complex, so complex that we can find an entire world in a tea. It is entirely possible that some of this will get get lost, where a tea cannot be identified with its place of origin anymore. Still, tea experience is a highly individual thing. For many tea lovers, the origin of a tea, along with all implicated aspects of the same, is an essential part of said tea experience, especially in individual settings, while others couldn’t care less. Many will say that a tea’s place of origin as such is entirely irrelevant to them, stating that only the actual taste and other ‘real’ features of a tea (these could be features of organic cultivation, Fair Trade, etc…) are decisive for the quality of their tea experience. However, especially for the nostalgics among us, to which I tend to count myself, the origin, cultural identity and a certain degree of authenticity are an indispensable element of their individual tea experience.individual tea experience. I know, I do repeat myself here a lot, but it just can’t be said often enough: in order to serve everybody’s needs, all it takes is to provide the buyer with meaningful information about any tea with their purchase, as who doesn’t care won’t be hurt, while it will greatly benefit those who do care, and those who doesn’t want to miss the luxury of drinking a tea from its actual point of origin, will also be enabled to do so. Altogether, we can say that regarding the further spreading of tea cultivars we are most probably facing a scenario, for which the term “globalization” isn’t badly chosen at all. Old and new teas will be produced at old and new places, a diversification that in the backdrop of modern consumer markets’ diversification pressures most probably won’t lack fertile ground. This won’t have to shake the very foundations of the tea nostalgics’ world. However, prerequisite for the comprehensibility and transparency will be the meaningful and accurate information of the tea drinker, so that we will be able to also in the future always drink exactly the tea we want to drink, the way we love to drink it, and from where we like it best. If we believe the mainstream of populist contemporary publications, there are golden times starting right now for so far rather moderate and cool latitudes such as in Europe or large parts of the US thanks to the current global climate tendencies towards longer summers, shorter winters and an altogether warmer climate, a very promising scenario that could even enable the cultivation of tea in regions of this planet, where to date nobody ever thought of cultivating tea. The author believes that in a short perspective, i.e. in the next few years, it might be possible that due to the current climate change there might be shifts and/or expansions of existing tea cultivation regions towards the poles, or even the development of new such regions based on the same effect. At second look, and especially in a long-term perspective, though, this is a not only a short-sighted, but also a very one-sided view. For once, the construct doesn’t consider the fact that such shift would leave the whole equatorial zone burnt, dead and unfertile (and the poles melted), second it doesn’t take into account that the world climate is a complex system of interdependencies, and third the concept is based on the idea of a still existing, merely shifted, ecological balance, which might not prove realistic. As far as we can see so far, the general warming tendency is only one of two main characteristics of the climate change, with the other one being an increasing instability of the world climate more or less everywhere on the globe, showing in a rising frequency of natural disasters such as heavy storms, earthquakes, flooding and droughts causing ever more severe damages. It is obvious that such instability ultimately cannot benefit the tea cultivation, or any agricultural activity, for that matter, anywhere in the world, so that in the author’s opinion it is still our best (or only) option to try and reverse the process of global warming through adequate changes in our economic and consumption behavior, as hard this might actually be. Great article and one that is timely given how vital it is to know the source of a particular tea. Also well done on actually informing people about teas as opposed to some of the same rehashed info.